At DS Appliance Repair Waterloo, we offer the most professional and comprehensive appliance repair services in Waterloo and the GTA. 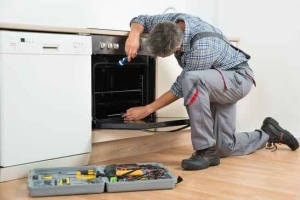 With a staff of skilled and experienced appliance repair professionals, we are able to repair any make and brand of any household appliance in your home. No matter the size or scope of the job, we are the company to call for all your appliance needs large or small. Do you have an emergency? Appliance malfunctions are never convenient and often they become emergencies. We are one phone call away with around the clock emergency dispatch services. We are always available to schedule your appliance repair as soon as possible when you have encountered an appliance repair emergency. We will dispatch our professional technicians to your home as soon as possible for a quick and efficient appliance repair in Waterloo. When DS Appliance Repair Waterloo answers your service call, you can be assured that you are getting a company that is fully prepared to deal with your repair. Every one of our technicians comes to your home equipped with a fully stocked service vehicle so all parts and tools needed for a quick and efficient repair are on hand. All parts and services are always 100% guaranteed and since we use only original, factory authorized parts, all manufacturers’ warranties are covered. 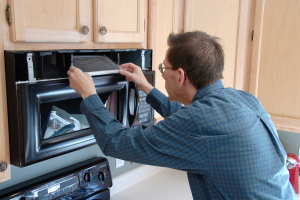 When you are experiencing signs of appliance malfunction, call an expert immediately. The sooner you deal with annoying symptoms, the more probable it will be to prevent an emergency repair. Watch for telltale symptoms of an impending appliance repair in Waterloo and call your repair professional immediately. No matter what make and model or repair requirement, you can peace of mind that our technicians have the experience and training to deal with it. 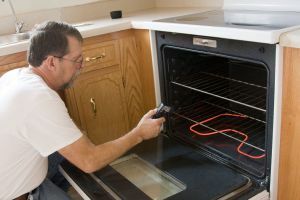 At DS Appliance Repair Waterloo, we believe that regular maintenance and inspection of your appliances can prevent nearly 90% of unforeseen repairs and improve their effectiveness and energy efficiency. Regular maintenance also improves performance so your appliances can live out their potential life expectancy. We offer fully customizable maintenance plans for these very reasons. During a maintenance visit, our technicians will do a thorough inspection and cleaning of your appliances to ensure that they are working at their peak performance. At DS Appliance Repair Waterloo, we also offer professional installation for your new appliance purchases. 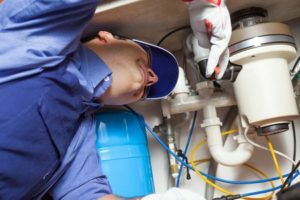 Often, full installation is not offered by appliance companies, especially if it involves gas or plumbing hook-ups. Our skilled professionals have the appropriate tools and experience to ensure safety and appropriate handling when it comes to the installation of any appliance in your home. When you call us, you can have peace of mind that your installations are being done by experienced professionals. From the moment you call our office, we are dedicated to your 100% satisfaction. Offering the most comprehensive appliance repair in Waterloo, we believe in treating our customers with courtesy and respect. From our office administrative personnel to our highly skilled repair technicians, you will get the best appliance repair service the industry has to offer. If you are looking for expert appliance repair, installation services, or maintenance plans, the professionals at DS Appliance Repair Waterloo can fill your needs. Call us today for the finest professionalism in appliance repair today in Waterloo and the GTA.